The one that needs a special mention inside Zenana Enclosure is Lotus Mahal. It is the highlight of Zenana Enclosure. The style of it is a bit distinct from the typical architecture you see in Hampi. The exact function of this building is not surely known. Located inside the Zenana enclosure, most probably this was a socializing area for the women folks in the royal family. 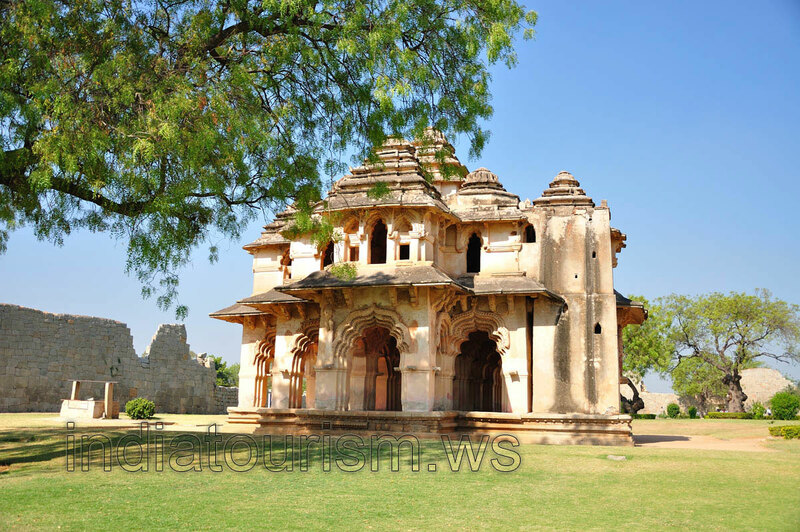 Also known as Chitragani Mahal and Kamal Mahal, this falls under the secular or nonreligious categories of structures in Hampi. It’s peculiar to note that this is one of the beautiful structures that were left undamaged during the siege of the city.